Dear Girl, Food-Lover and shopaholic, the Big Day is just around the corner, guys! The anticipation has been killing you. What are you Looking for?? maybe clothes? Food? accessories? As Malaysians, our first love is had always been food. 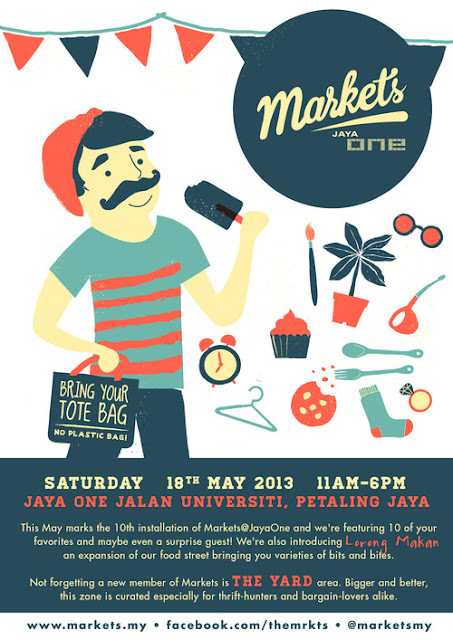 Market@JayaOne's LORONG MAKAN is a street dedicated for local chefs and bakers alike to introduce their unique food ideas to the public. So be sure to keep stomach for the ultimate LORONG MAKAN advanture. Who's ready for Markets? To make sure you're prepared, here's our list of 10 Things you should consider bringing along! Read on to find out what we've got in our Markets Survival Kit! 1. Reusable shopping bag. It’s No Plastic Bag Day Everyday! Let’s do our part for the environment. Bring your own bags! 2. Sunglasses. Keep the hot Malaysian sun outta your eyes with a good pair of sunnies. 3. Sun tan lotion. Yes, protect your skin! Keep your skin free from horrible tan lines with any sun block that suits your skin type. 4. Wear comfy shoes. It’s Markets! Gear yourself up with walk-able shoes for a comfortable shopping experience. 5. Appropriate clothes. Markets is an outdoor event, so don’t arrive in a sweater, silly! Wear light, airy clothing that is easy to move around in. We suggest a simple summer dress for the ladies and tank top with shorts for the gentlemen. 6. Extra cash/ATM card. Found something you just HAD to have, but already spent most of your cash? Fret not! Just remember to bring along some extra cash OR even better, your ATM card! 7. Light baggage. Take only what you need - money, phone, maybe a pack of tissues? Leave the unnecessary at home! Bring the essentials. 8. Water. Of course you could always buy yourself some on the day itself, but just in case, bring yourself a bottle! Keep hydrated and beat the heat. 10. Your love for shopping and Markets. Need we say more? Let's celebrate Malaysia Breakfast Day as a nation on 19th May. Make a date with your family and friends to have breakfast together! For those in Klang Valley, come and join us at Universiti Putra Malaysia, breakfast and MILO-fuelled activities are awaiting for you! 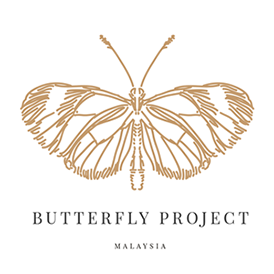 The Malaysia Breakfast Day event is now realigned to 19th May 2013 at Universiti Putra Malaysia which was originally set to take place on 5th May 2013. Love taking pictures of your food? 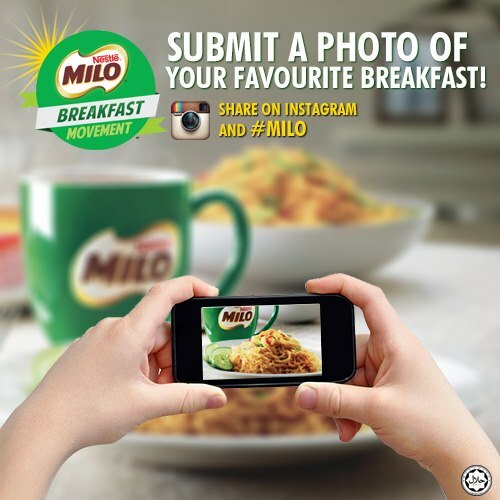 Upload, share and tag #MILO in your BREAKFAST photos via Instagram. Malaysia Breakfast Day, 19th May 2013. Show your commitment by taking your breakfast daily! Can’t wait to see you all there! Til, then, take care and spread the love. Hye Kak! Muahaha.. Ingat saya lagik?? I'm not sure where you are getting your information, but good topic. I needs to spend some time learning much more or understanding more. Thanks for excellent information I was looking for this information for my mission.